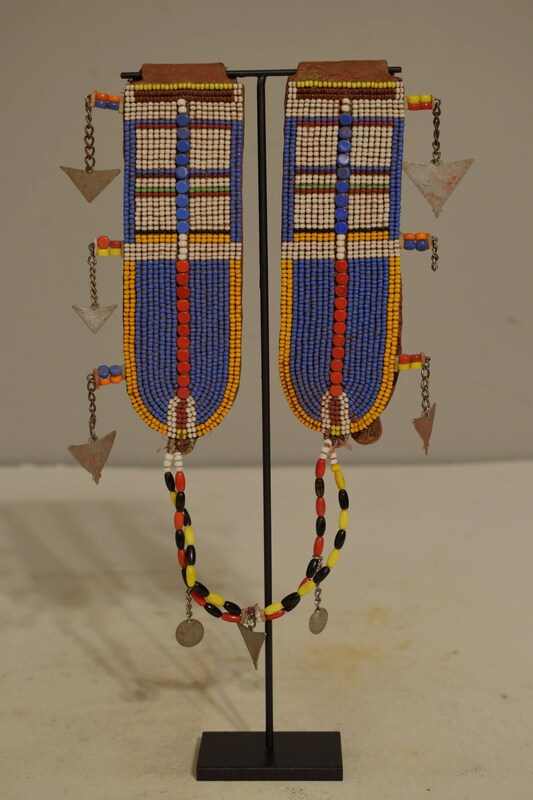 This is a 1960's Beautiful Pair of Beaded Matching Ear Flaps from the Masai Tribal Woman of Kenya. 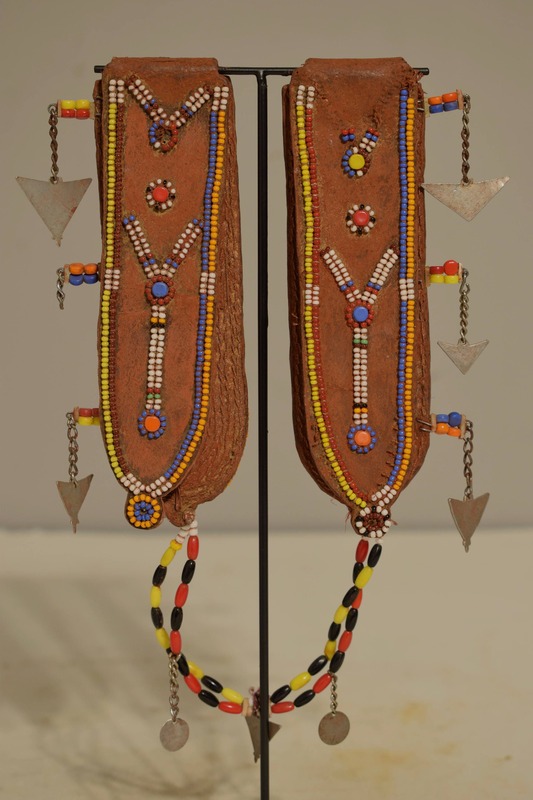 This pair of ear flaps made of leather and glass seed beads, also known as "Gonito" and as "Nchonito Nkiyiaa, are beaded on the back as well as the front with Aluminum Charms on the sides and attached with beaded rope. 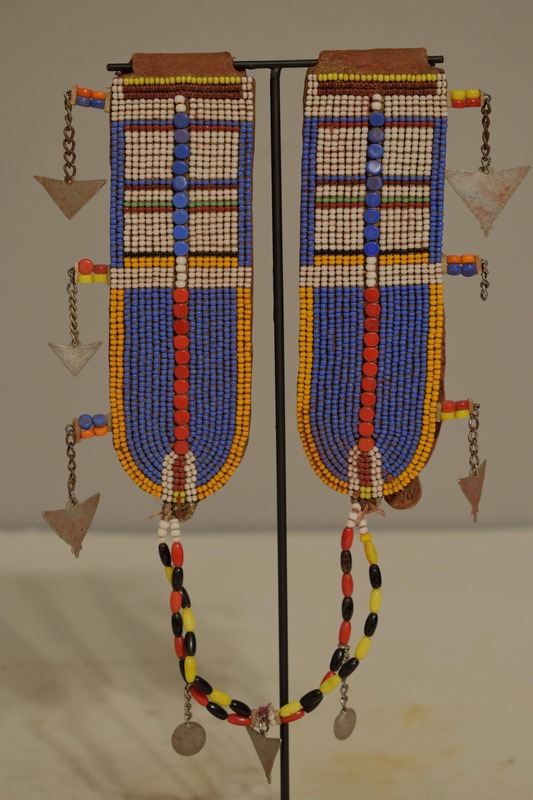 Only a Masai married woman may wear these beaded ear flaps. These ear flaps were worn as signs of marriage. Tribal custom states that her husband must never see her without them. Most of the colors used in Masai beadwork relate directly to their pastoral lifestyle. The color green represents the grass, which is believed to be a sacred element because it nourishes the Masai cattle. Red and white are considered life-sustaining colors representing the blood and milk of cattle, which they could not survive without. Other colors, such as orange and black, represent hospitality and hardship, respectively. By including these colors in their beadwork, the Masai are able to visually reference their beliefs and important aspects of their lives. These amazing Masai ear flaps would be a wonderful addition to your collection or home. Shows age, some rust on aluminum, but in good condition. 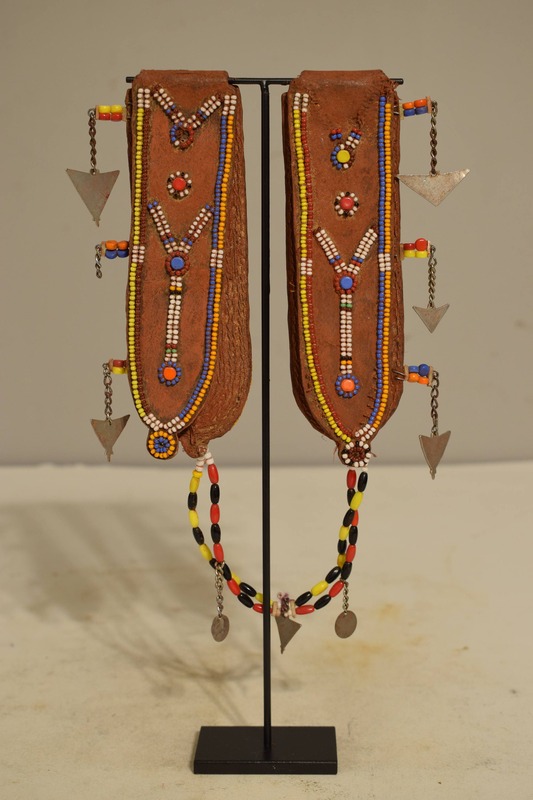 This beautiful pair of Masai Ear Flaps is beaded on both sides with the tradition aluminum charms. Vintage 1960's Masai Married Woman's Ear Flaps.